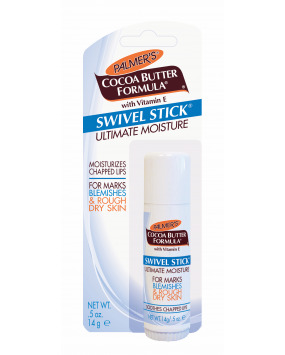 This innovative product is the portable version of the "original solid formula" Palmer’s Cocoa Butter Formula and has all the benefits of pure Cocoa Butter enriched with Vitamin E; vital for smoothing dry or damaged skin. 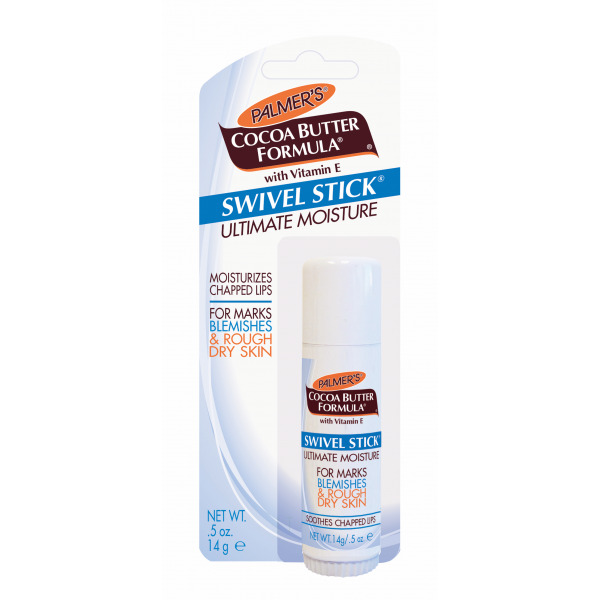 This pocket-size stick is ideal to help relieve rough, dry areas, marks and blemishes on the face and body. Also may be used to moisturise and soothe dry, cracked, chapped lips. As the product contains 0% water, it does not freeze, so can be used on the ski slopes over the winter months when you need it the most.